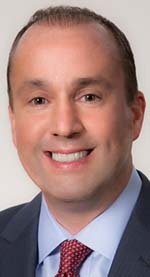 Southfield-based accounting and advisory firm Baker Tilly Virchow Kraus has appointed partner Patrick Killeen, CPA, as the Michigan office’s managing partner. In his new position, Killeen will act as the firm’s Michigan manufacturing and distribution practice leader, directing local manufacturing and distribution services, as well as serving clients. Killeen, of Brighton, is the leader of the Michigan manufacturing and distribution team responsible for people development recruitment and retention, growth initiatives, training, and financial metrics providing pragmatic assurance, tax, and consulting solutions to manufacturing groups specializing in the automotive industry. In addition, he is a member of many industry groups including the Original Equipment Suppliers Association, Automation Alley, and the Detroit Economic Club. He served as a member of the Michigan Association of Certified Public Accountants until 2013. Killeen is a graduate from Walsh College in Troy, receiving a bachelor’s degree of science in accounting.